I’m not a science mom. I’m just not. I’d rather sit and read a book with my kids, or show them a great movie that meant a lot to me as a child. Anything but science projects. So, when Sonny Boy told us this past school year that he wants to be a scientist when he grows up, I knew that this summer would be a little rough for me. I had to think up a summer schedule filled with science, and fast. Thank goodness for Pinterest and YouTube! It seemed like as soon as I made the commitment to create an agenda of summer experiments, those types of pins and videos popped up on my screen. Whether it was homemade lava lamps, making oobleck, or microwaving your soap, they had it covered. 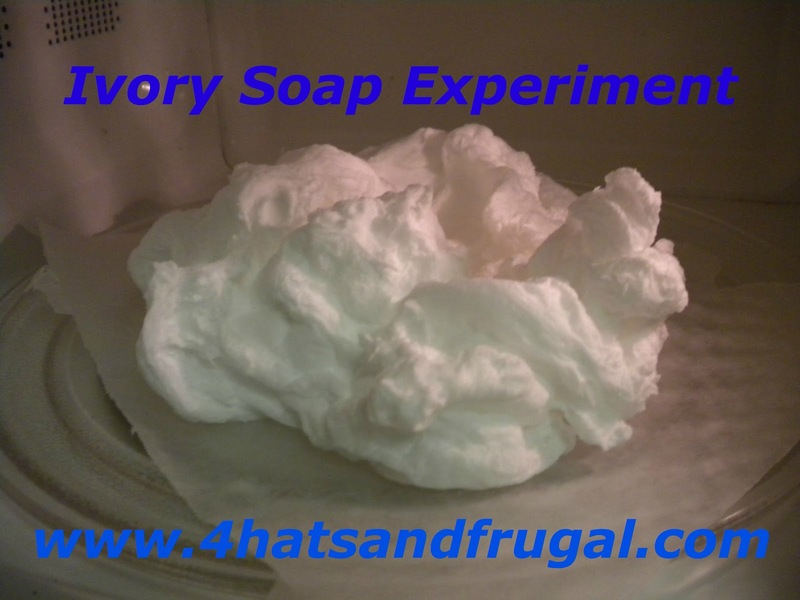 We decided to start with the totally awesome Ivory soap experiment. The idea behind the experiment is that because Ivory soap is created with air pockets in it(its the soap that floats! ), those air pockets expand in the microwave and tunr the soap into a big puffy cloud. We started with that part of the experiment, and decided to take it to another level after that. Watch the video to see what we did! Be forewarned: Sonny is a bit of a ham in this video. I mean, complete Hamaroni!